People are now recognising that up-skilling is crucial for improving the competitiveness and marketability of a workforce. "The goal of our organisation is excellent customer service and we’ve seen it improve through the training." 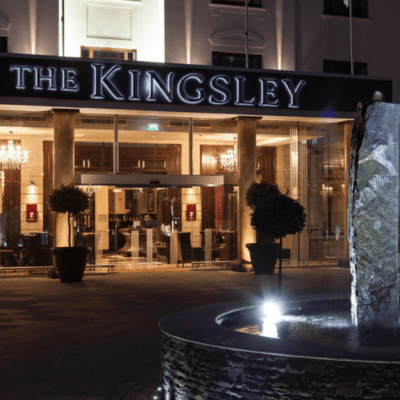 The Fota Collection is comprised of the luxurious five star Fota Island Resort and the recently re-opened Kingsley in Cork. Each hotel has its own distinct character but both deliver exceptional and memorable luxury. Fota Collection hotels deliver exceptional standards of service amidst stylish and unique surroundings. Cork Chamber Skillnet is a multi sector learning network for companies of all sizes in the South West region. Member companies work collaboratively to respond locally to skills needs within their businesses. The network supports regional development by helping local businesses to arrive at shared local solutions that are more accessible, more affordable and ultimately, more effective at meeting their needs. The network addresses both technical and non-technical skills needs across multiple sectors.